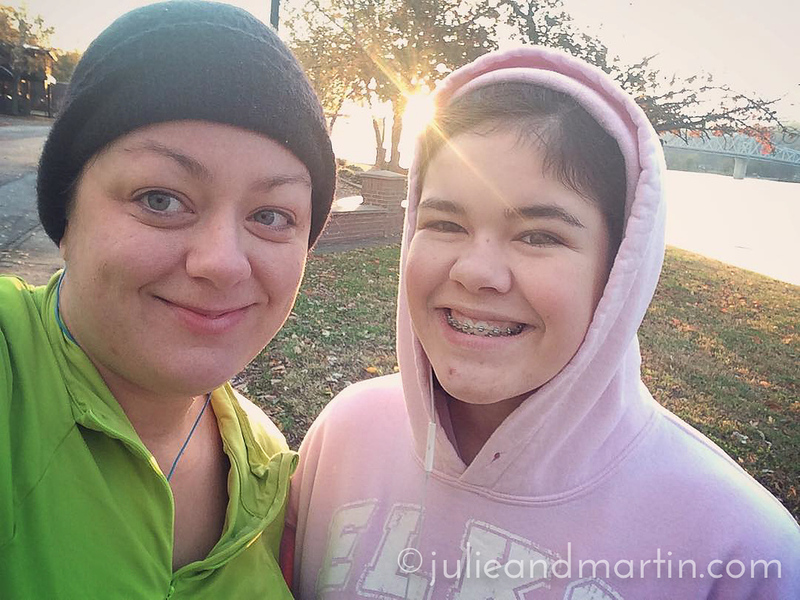 Fresh faces this morning during our sunrise run. We ran up the river and across the bridge to Kentucky and back. I voted via absentee ballot before we traveled, so I won’t get a sticker today. It’s your right and your privilege. Vote wisely. Just get out there and freakin’ vote already. 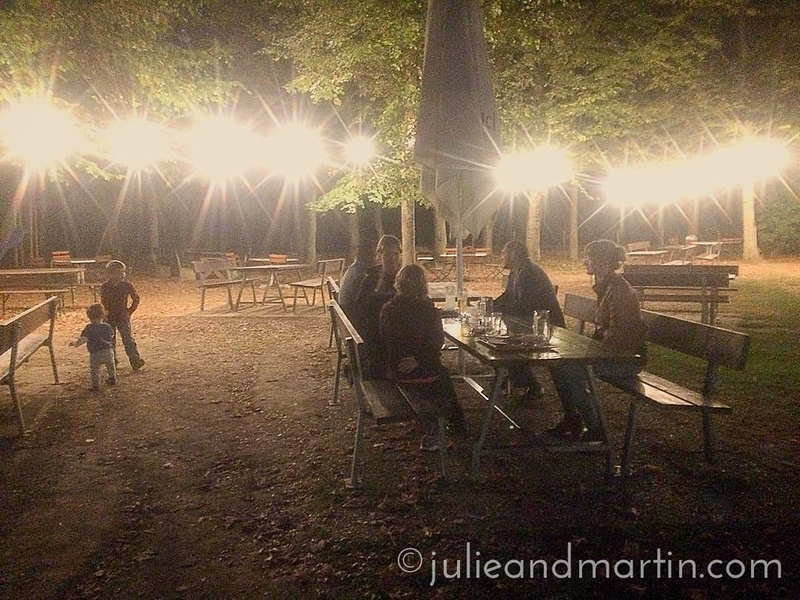 Dinner in a beer garden with our guests, Alex and Gil! Now that it’s cooler, the garden isn’t so crowded! In the summer, every table is filled with people late into the night. 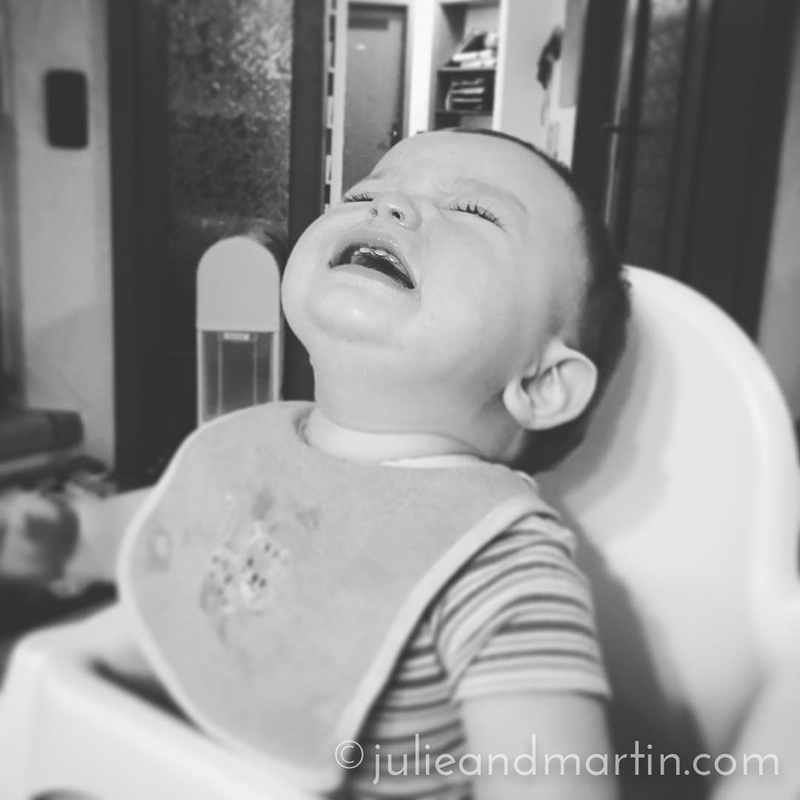 During my check-in with our au pair today, she admitted that dinner time (which I missed due to traffic this evening) was exhausting. You’re doing GREAT, Amanda! THANK YOU! This is Amanda’s second attempt at dinner for the family. 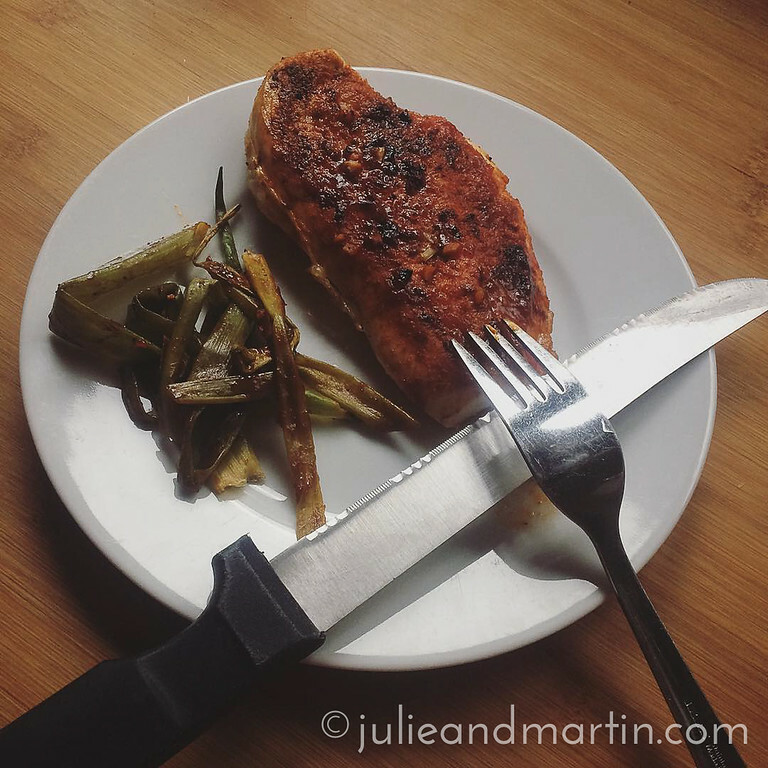 With Miss C’s assistance, she made barbecue chicken with glazed scallions. She made stir-fry the other day. 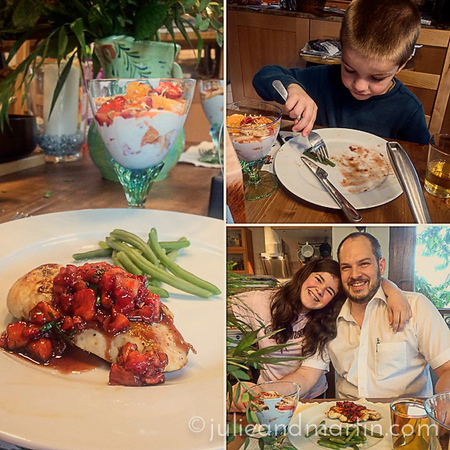 It seems to me I’ve struck gold once again in the au pair department, having another who knows how to whip things together in the kitchen, as the food has yet to kill us. 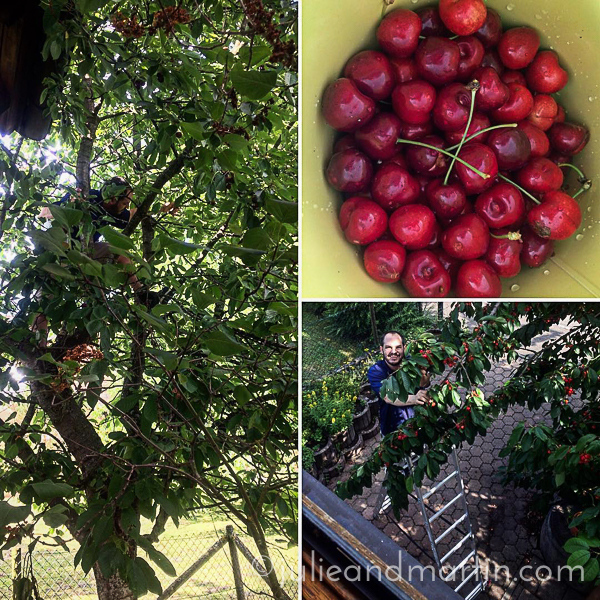 Martin’s out climbing our cherry trees, picking the best ones for Junior’s birthday cakes, which I’m baking tonight. Apparently, Aristotle had a cherry tree, because we’ve all been pretty impatient waiting for these limbs to grow heavy with fruit! 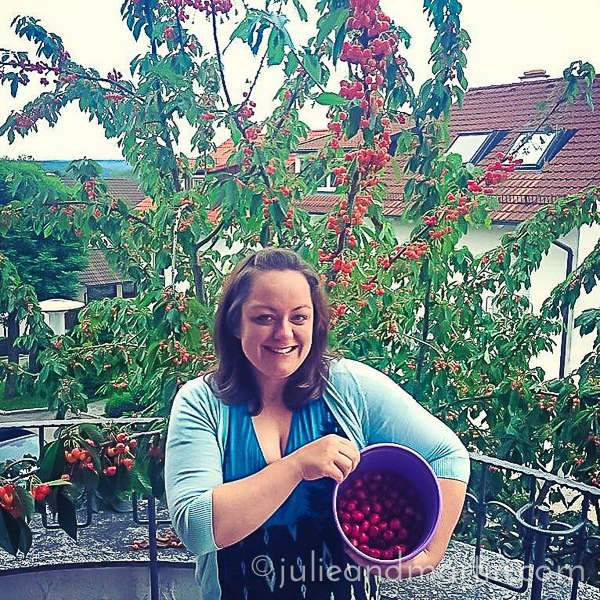 But LOOK at these cherries! Gorgeous reds and pinks, and so sweet. These will go into our birthday boy’s cake later this week. Due to circumstances way beyond my control, our plans for Family Day at Frühlingsfest were a bust. 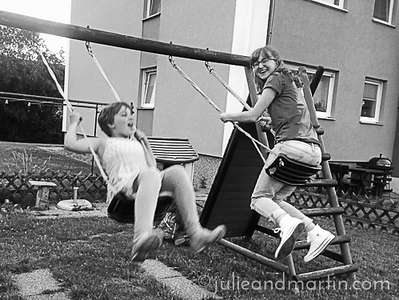 Martin and the kids had spent the afternoon prepping the dirndls and lederhosen, so I even suggested they go without me when I called from work. I mean, Martin spent hours hand-sewing ribbon back on one of the girl’s dresses! After his own day at work! 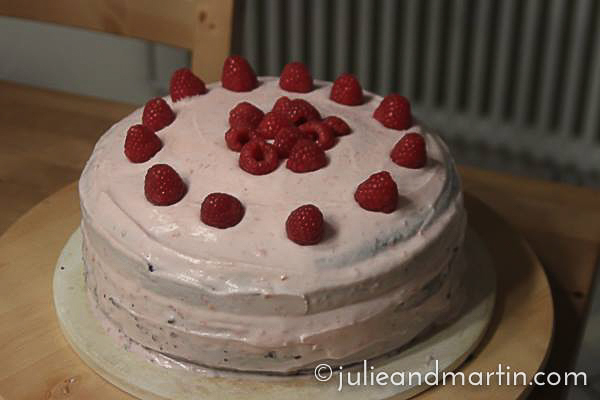 My first attempt at a homemade “naked” chocolate cake with raspberry cream cheese frosting. I don’t know … would you eat it? I took it to work and my coworker Amy came in at the end of the day, looking for a piece, and only found the serving tray. 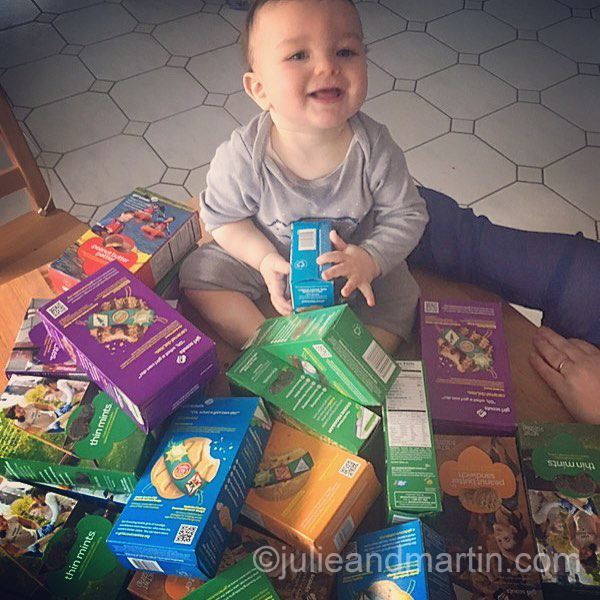 The Girl Scout cookies arrived. So did his seventh tooth. Perfect.